Moscow. June 25, 2018. Interfax. 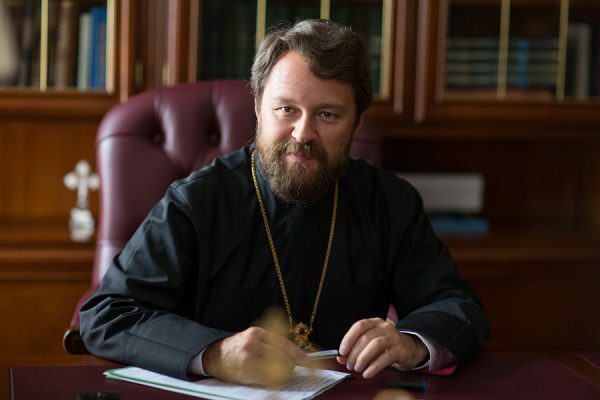 Metropolitan Hilarion of Volokolamsk, Head of the Moscow Patriarchate’s Department for External Church Relations, noted that there may be competition and envy between archbishops, too, like between people from other walks of life. “An archbishop is not somebody who lives in the clouds, he lives in exactly the same world, and he meets other people. Then, let us face it, there is envy and competition in some archbishops too. Some of them might even act from base motives,” he said, responding to a question asked by the host on the television program “Parsuna” on the “Spas” channel. Metropolitan Hilarion noted that archbishops “are not exempt” of having to ask for forgiveness and to forgive in their hearts. At the same time, Metropolitan Hilarion said that he always listens to the criticisms of Patriarch Kirill and his own mother, who “turns out right most of the time.” He also takes into account his deputies’ opinions.